Have You Thought about Surrendering and Living It Up? about surrendering and … living it up. I’m not a knight or a warrior. I can’t fight another person’s fight. Every time I do. I end up wrong. I can’t wear their clothes. They don’t fit. I look silly. I can’t walk in their shoes. When I try I fall down. I only sound right when I sing my own song. It’s not a selfish thing. It’s a surrender to who I am. It took me a while to figure out that I can toss and turn, stretch and skew an idea, but I can’t change the way my brain works. I can walk all the way around and through a thought or a belief, but I can’t change the chemistry or the electricity of a single synapse — slow them down maybe — but not reroute and remap the system to work as someone’s else might. 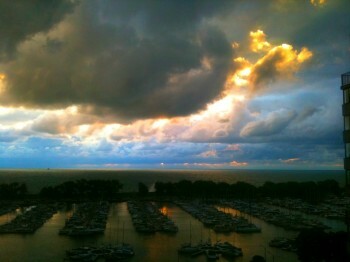 I’m always going to be the one who sees an angel in the clouds. Living up to who I am is a far better use of my life than trying to become something I’m not. Have you thought about surrendering to your life and living it up to who you are? I can’t wear their clothes. They don’t fit. I look silly. I can’t walk in their shoes. When I try I fall down. I wonder at how long it took me to understand this. I need to sing my own song. I can toss and turn, stretch and skew an idea, but I can’t change the way my brain works. I can walk all the way around and through a thought or a belief, but I can’t change the chemistry or the electricity of a single synapse — slow them down maybe — but not reroute and remap the system to work as another brain might. I can be reimagine, recreate, and reinvent solutions. But I can’t reimagine who I am. I can’t recreate life of experience and learning. I can’t reinvent the DNA that makes the unique me. In that uniqueness is where I found my values and the most valuable traits I offer. The sun can’t stop shining to become a planet. We count on its “star-ness” — the energy, heat, and light it offers. People are made of the same stuff as stars. I need to bring the best “me-ness” — the energy, mind, and heart I offer. Living up to what I am is a far better use of my life than trying to become something I’m not. What are we thinking when we say that? Is the plan to pull apart our DNA and restring it? Shall we just set aside those skills and talents we came with? Genetics doesn’t work like that. Our DNA is coded with four letters A, C, T, and G. The order in which they’re set not only differentiates us from other species, but also from each other, except our identical twin. 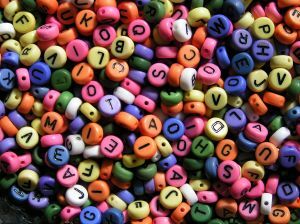 We can’t just toss aside the A, C, T, and G to reach in a box of letter beads to recode a new set of letters we like better. We can’t really even rearrange our current code with any sense of surety. Add to that the wealth of experience that has brought us from the moment we gave our first cry and opened our eyes to this moment in time. That experience has moved, molded, and made us into unique beings. We can’t relive our experiences either. Our genetics and our experience are the foundation of who we are. They have burned the pathways in our brains that move and manage information. They have set the personal comfort zones that we find in the human experience. If we try to deny those foundations, to become something other, we end up a bad facsimile. We can’t replace bits of our being the way an inventor might change out a set of wheels for skis. I can’t reinvent myself into you. You can’t reinvent yourself into me. But you can reconnect to the best that you are. And I can reconnect to the best that I am. People and stars are made of the same stuff. And as every star is shines with its own brilliance, so do we. When we reconnect to that we know deep in our genes and our experience, we become a richly alive, unique human being. Even the smallest star shines with it’s own brilliant light. And we are like the stars. No one brings what you are. No one can replace you. No one can shine as you. What’s irresistible is the brilliance you are. Reinventing yourself is futile. Connecting to your brilliance is powerfully fruitful. 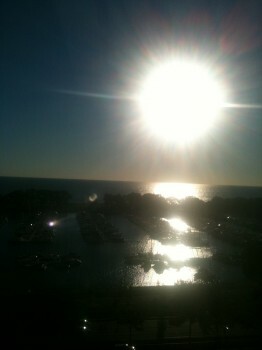 The world will be just that much brighter when you do. I walk into an event. I’m looking forward to seeing you. I look across and there you are. I start to walk over. Then I notice the people standing around you. They’re a few folks you sometimes hang with. You call them friends. I’m not so sure they live up to that title where you’re concerned. One’s a whiner. One’s a complainer, One’s a slacker. All three are takers. You give them your best and all they seem to give you is more of their problems to solve. They don’t see you, only what you can do for them. You haven’t noticed that you keep giving your energy to folks who don’t energize you. I was set to have a great “let’s catch up” conversation, to find out what you’re doing, to tell you about some people I’ve met who might be able to help you move forward. I value what you know, what you can do, what you’re willing to invest in learning. But I’ve been part of the group you’re with on other occasions. Those three around you always talk about the same things — mostly gossip and what’s unfair about the world. If we try to talk about the future, they will hijack the conversation with negativity and distractions. I reconsider. I’m not ready to share my contacts if they will have to navigate through that group. I say a brief hello and keep moving. You never know that I’m waiting for you. Are the people around you helping you grow or holding you down? It’s not loyalty or friendship, or even business, if the the energy and positivity isn’t coming back to you. Surround yourself with folks who can see you and value you. You’ll have more energy, more confidence, and more positive people who want to spend time with you. A Question of … Receiving? 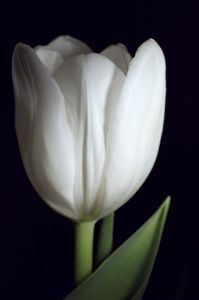 If I gave you a lovely white tulip for no reason, what would say or do upon receiving? Work with Liz on your web presence.